Last public tour of the year! Up & at 'em! 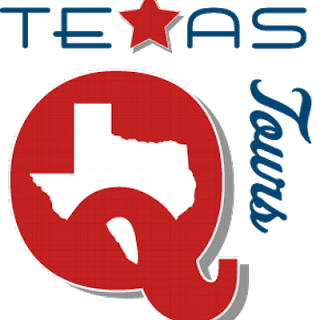 Today is our last Texas Q Tours public tour of 2015. Weather and roads permitting, we're making stops today for breakfast, craft beer, &, Texas BBQ. Though it's our last public tour of the year, we remain available for private tours, as always. So, if you want us to customize a tour just for you, let us know. Updates throughout the day today via Twitter! In late August, I paid my most recent visit to Iron Works BBQ (Austin, TX). Got there before the doors opened at 11 and got in line behind about a dozen or so who were already there. 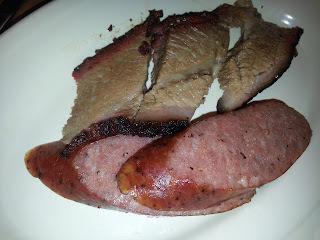 Had a big lunch of brisket, sausage, pulled pork, beef ribs, beans, potato salad, and macron & cheese. This weekend's college Gameday Giveaway is a Big XII battle: Oklahoma State at Texas Tech (Saturday, 2:30 PM Central). To be counted, your prediction must include the winner, final score, & total yards (total yards is in case of a tie) and must be submitted by kickoff. This week's prize? 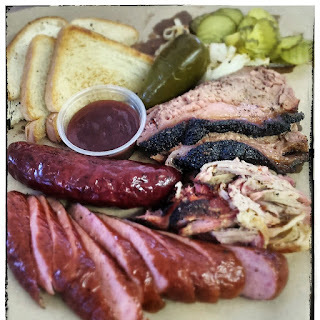 A gift basket from Valentina's Tex Mex BBQ (Austin, TX)! You'll get 4 koozies, 2 t-shirts, 2 bottles of BBQ sauce, & stickers! You can enter your prediction via comment below this post, via email, or via Twitter or Facebook. 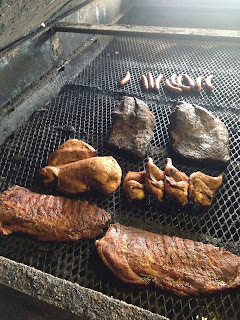 Mike Sutter has a great piece about a couple of recent moves in the world of BBQ pitmasters. 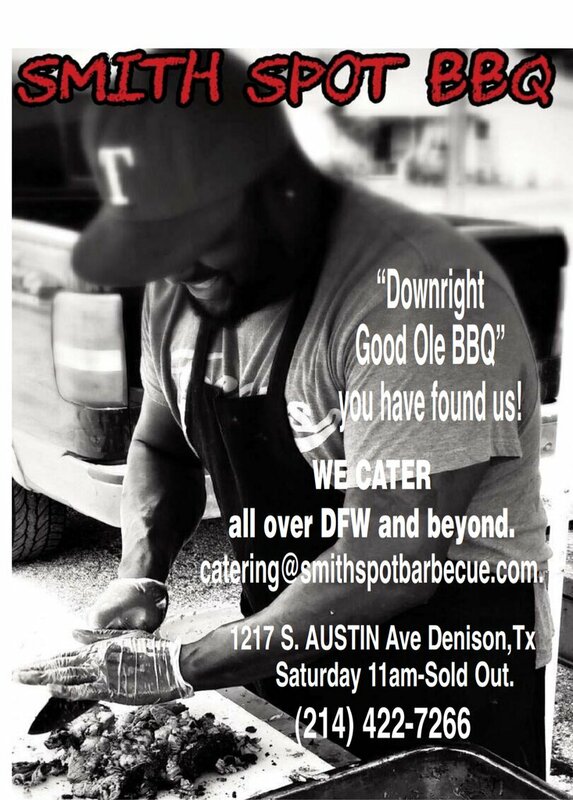 Bill Dumas, the pitmaster at Smokey Denmark BBQ, will leave Smoke Denmark on October 30 and join the team at Stiles Switch on November 1. Kennan Goldis, formerly of Goldis Sausage Co. and currently working under Bill at Smokey Denmark, will take Bill's place. Read all about it. Moving on down our list of Texas cities, by population, we arrive at Rowlett. What's the best BBQ joint in town? Smith Spot BBQ (Denison, TX) open for business! 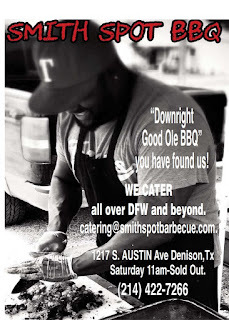 I'm a little late announcing this BBQ-joint opening, but I just found out, after they joined Twitter. 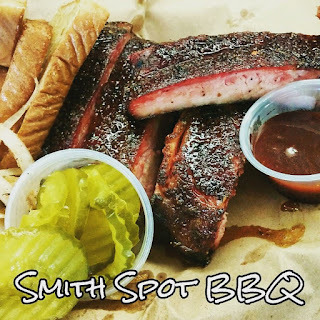 Smith Spot BBQ opened for business back in June. It's located at 1217 S Austin AVE #102. Open Saturdays from 11AM until sold out. 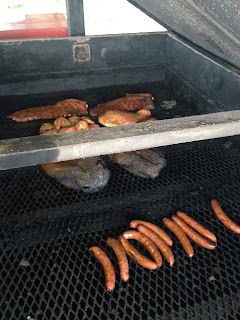 They are available for DFW-area catering. Here's their menu. And check them out on Facebook & Twitter. Some pics from them. After our February tour group dined at Johnny's, we took a tour of the place. 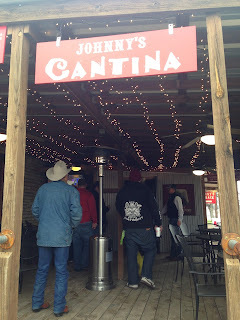 Below are some pics from the cantina and the Outback area, where concerts are held. Pit pics still to come. 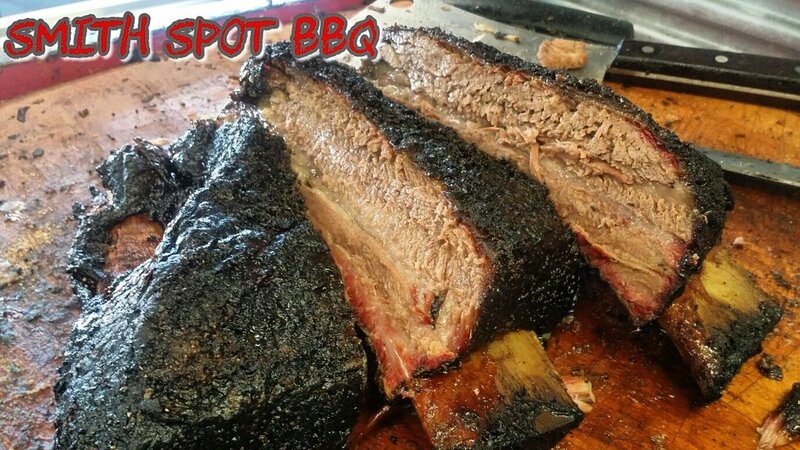 Best BBQ in San Marcos? Moving on with our list of Texas' biggest towns, we arrive at San Marcos, the seat of Hays County, the fast-growing suburb of Austin. 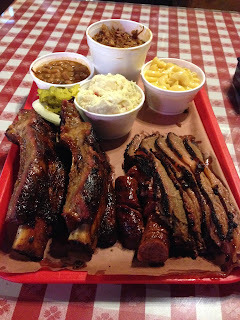 What is the best BBQ joint in San Marcos? This weekend's college Gameday Giveaway is a battle of SEC West teams: Texas A&M at Ole Miss (Saturday, 6 PM Central). To be counted, your prediction must include winner, final score, & total yards (total yards is in case of a tie) and must be submitted by kickoff. This week's prize? A side of pork ribs from Snow's BBQ (Lexington, TX)! 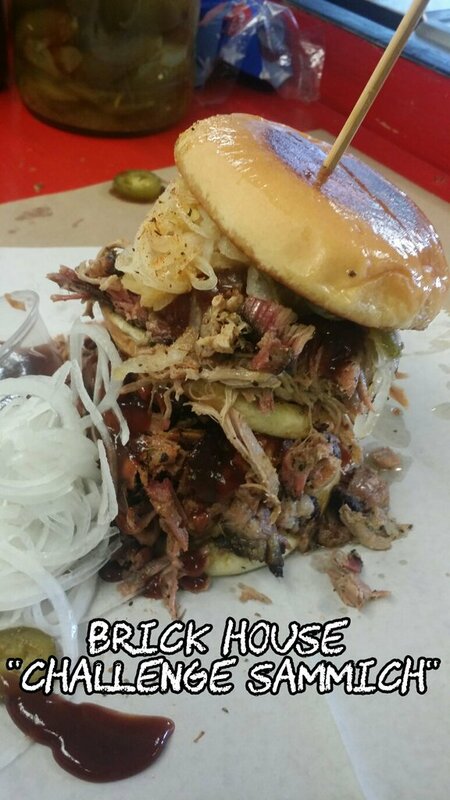 You can enter your prediction via comment below this post, via email, or you can tweet it to @ManUpTexasBBQ or via Facebook. One of my buddies is visiting Austin this weekend, from Denver. 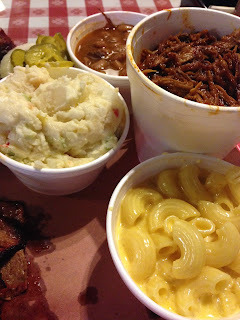 Yesterday, he had lunch at Mann's Smokehouse. He texted me this picture of his lunch of pulled pork, jalapeño-cheddar sausage, macaroni & cheese, and mashed potatoes. 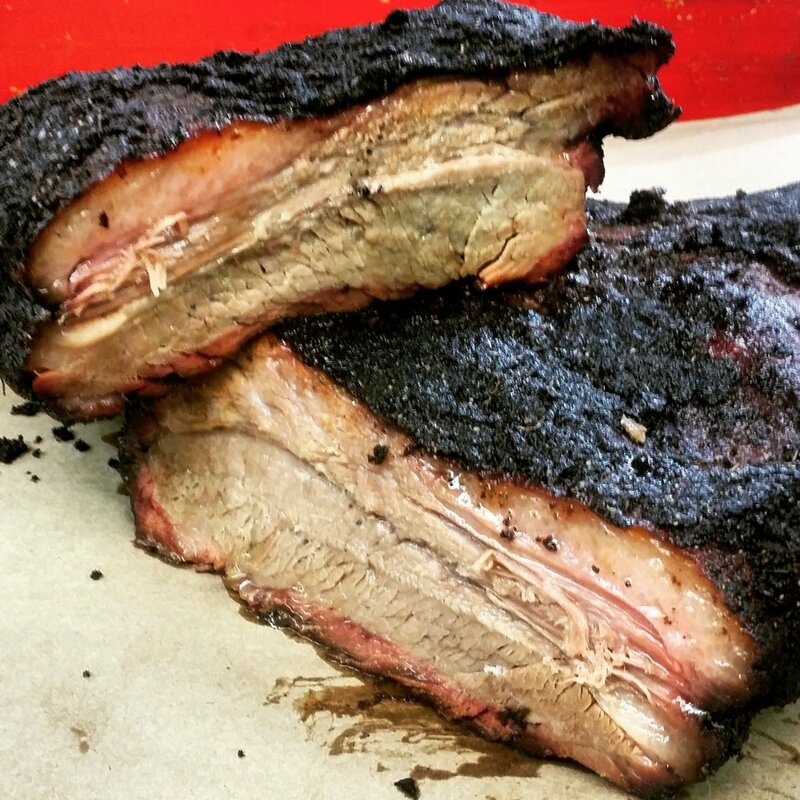 Every time the Houston Texans play, a whole slab of pork ribs from Pizzitola's BBQ is up for grabs! This week's matchup is Houston at Jacksonville (Sunday, noon Central). To enter the giveaway, simply comment via blog comment, Facebook, Twitter, or email. 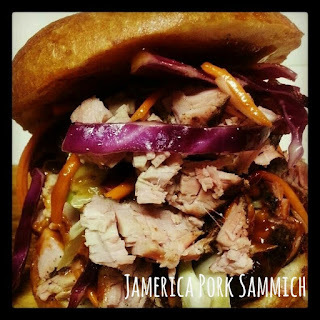 You have until kickoff to submit your entry, so don't wait! 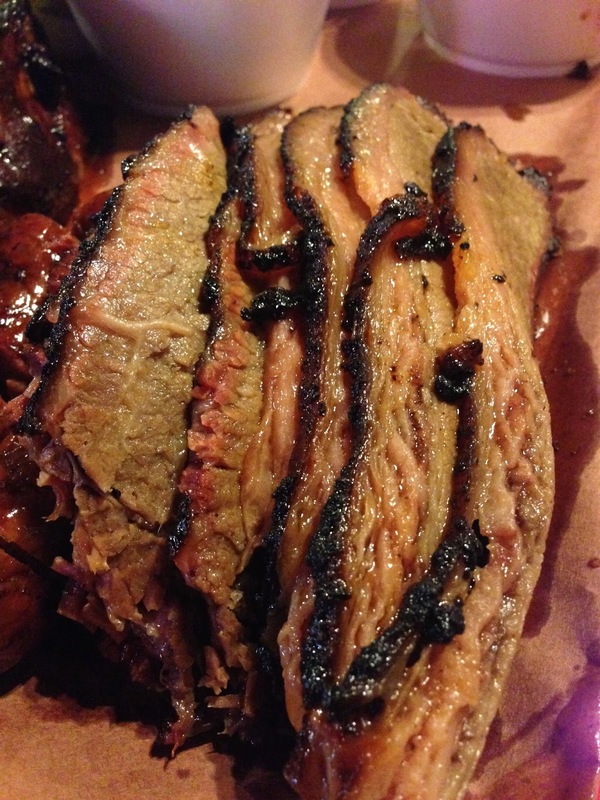 Texas Highways magazine has released its Top 5 Texas BBQ choice, as chosen by its readers. The top 4 hail from Central Texas. Northeast Texas is home to #5. Click here for the list. Moving on with our list of Texas biggest towns...What is the best BBQ joint in Georgetown? 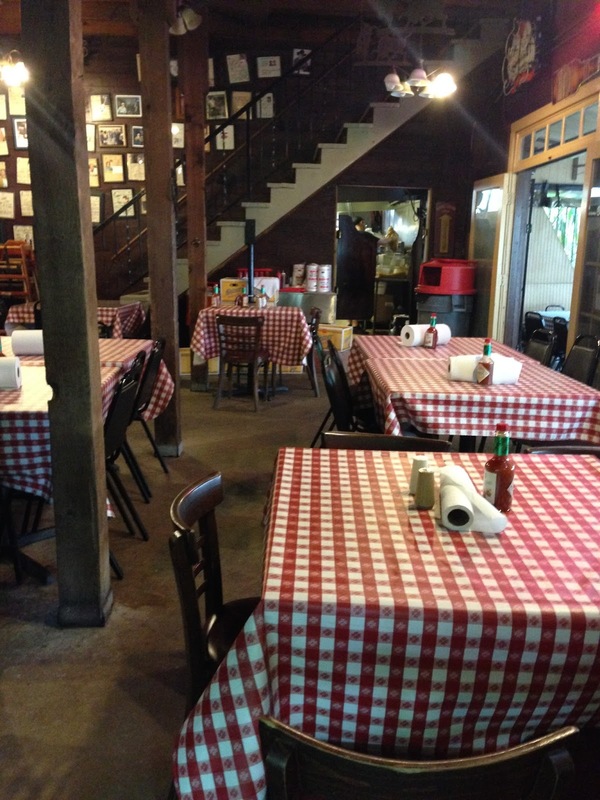 I had the opportunity to dine at Pizzitola's last week. Sending you pix from my experience. Terrific meal. 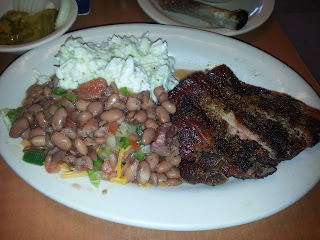 I got the ribs, which were the best I've had all year. They had the best beans too. Excellent taste. 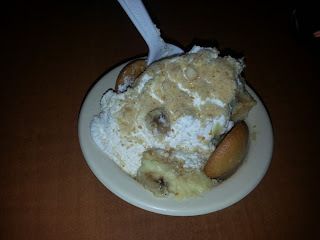 Couple more pix to come, But this is the banana desert first. Has nutmeg and a whole bunch of deliciousness. Tim and Betty (my server) we excellent hosts. 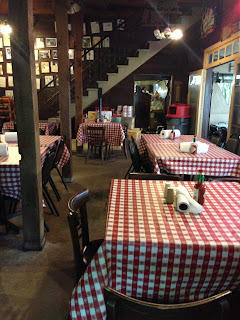 Highly recommended Pizzitola's and will be back soon. This weekend's college Gameday Giveaway is a big SEC matchup: Alabama at Texas A&M (Saturday, 2:30 PM Central). To be counted, your prediction must include winner, final score, & total yards (total yards is in case of a tie) and must be submitted by kickoff. This week's prize? 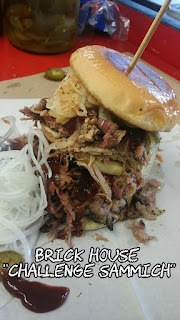 A hat from Hays County Bar-B-Que (San Marcos, TX)! You can enter your prediction via comment below this post, via email, or you can tweet it to @ManUpTexasBBQ or via Facebook. Best BBQ in Cedar Park?